Pamela Anderson has made an art out of channelling the media’s interest in her in order to help animals. 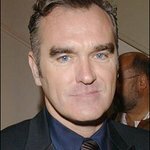 PETA has named her its 2016 Person of the Year – a title that has, in previous years, been given to Morrissey, Ricky Gervais, and the late Tony Benn. Just weeks ago, Anderson hand-delivered a 180,000-strong petition to the High Commission of Mauritius urging the country to implement a spay-and-neuter programme to tackle its stray-dog overpopulation crisis. In late October, she took to the streets of London with a bevy of animal mascots to encourage everyone to see animals as friends, not food, saying, “Eating animals is so yesterday”. And in early October, she urged Prime Minister Theresa May to bring forward legislation banning wild-animal circuses, writing, “Brexit is complicated, but kissing circus animal acts goodbye is easy as pie”. And that’s not all: earlier in the year, she urged the French Assembly to ban foie gras, asked the Canadian government to help her save seals, offered to cook vegan meals for prisoners in Louisiana, urged women to give up real fur (saying at a news conference in Russia that “dressing in real fur is kind of old-fashioned and boring”), and expanded her vegan shoe collection –proving that compassion and fashion go hand in hand.